The Wolverine picks up where X-Men: The Last Stand left off, as Hugh Jackman’s Wolverine is so bereft at the loss of Jean Grey (Famke Janssen) that he forsakes his comic-book code name, going simply by Logan and living off the wilderness. Eventually, he’s lured to Japan, where the claws come out in a story line centering around three women: Mariko (Tao Okamoto), a young woman poised to inherit her grandfather’s megabusiness; the fierce Yukio (Rila Fukushima), a lightning-fast fighter and Logan’s self-appointed boydguard; and the villainous Viper (Svetlana Khodchenkova), who plots to remove Logan’s self-healing powers. 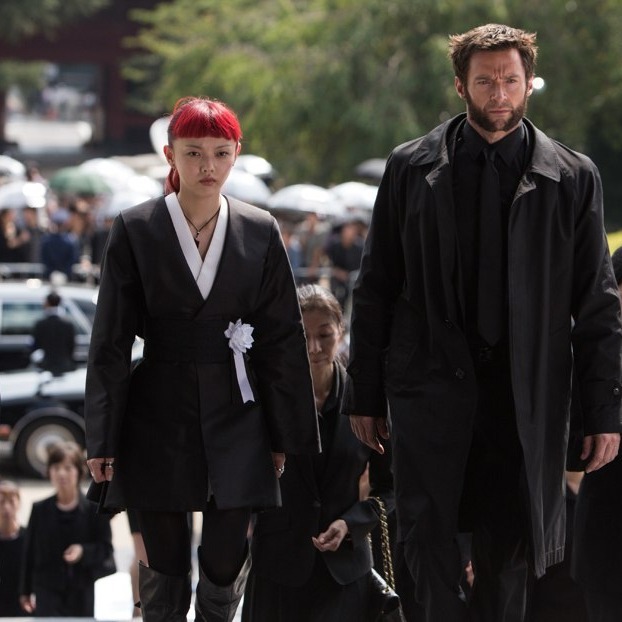 All the while, Logan sees visions of the departed Jean; though dead, she’s still a principal character here. Aside from Jean, who appears only to Logan, the other three women interact with each other, too: Mariko and Yukio are childhood friends who share a special, specific bond, while Viper and Yukio duke it out in one of the movie’s biggest fight scenes. (Yukio crosses swords with plenty of men, too.) Even near the end of the movie, when the biggest bad guys each get their comeuppance, the finishing blow is most often delivered by a woman.